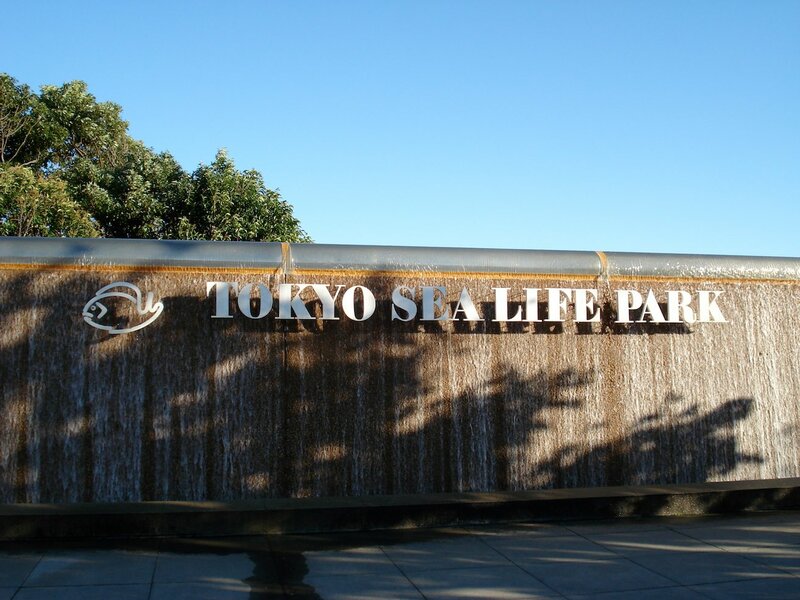 Tokyo Sea Life Park is part of Kasai Rinkai Park (葛西臨海公園) to the east of Tokyo Station. 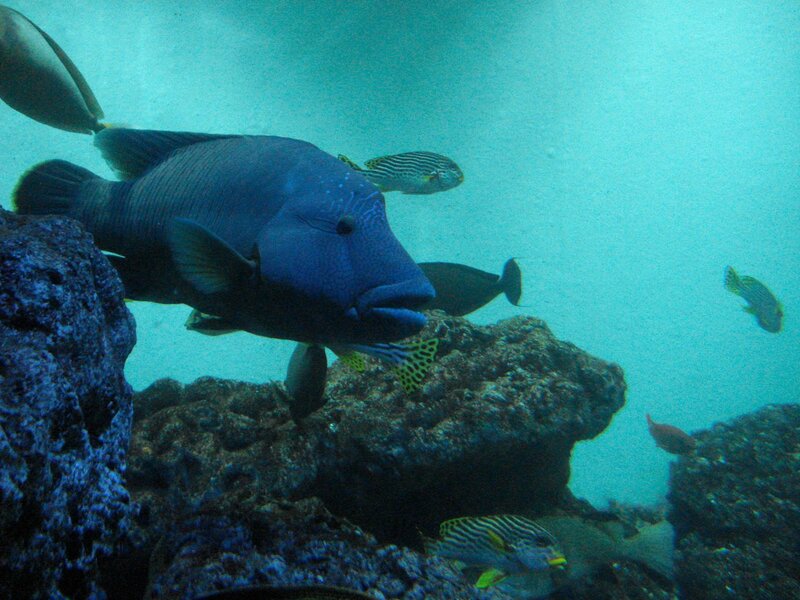 The aquarium is fairly small and only has one big tank but is well worth a look. It showcases a diverse number of locations in a clear and consistent way and delivers a strong message about the necessity for ocean conservation. 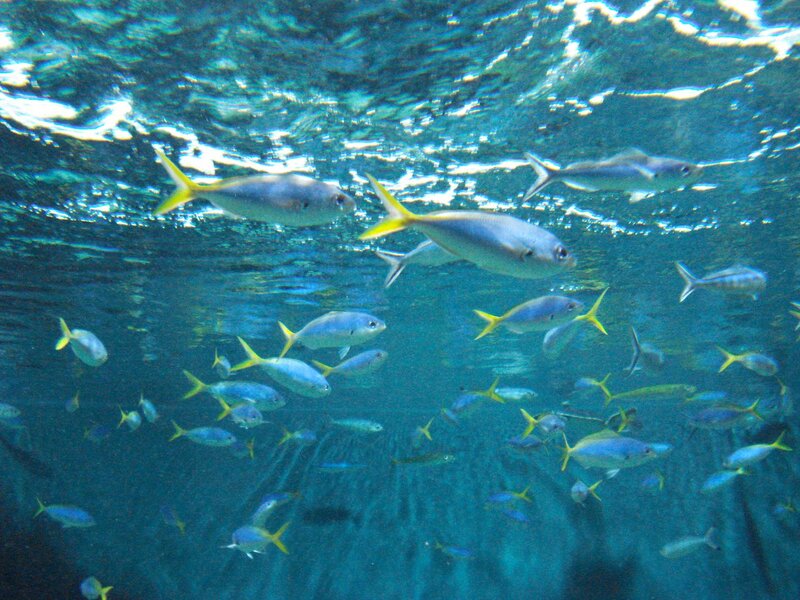 Tokyo Sea Life Park is run by the city and one of its main goals is to present the marine environments of Tokyo. 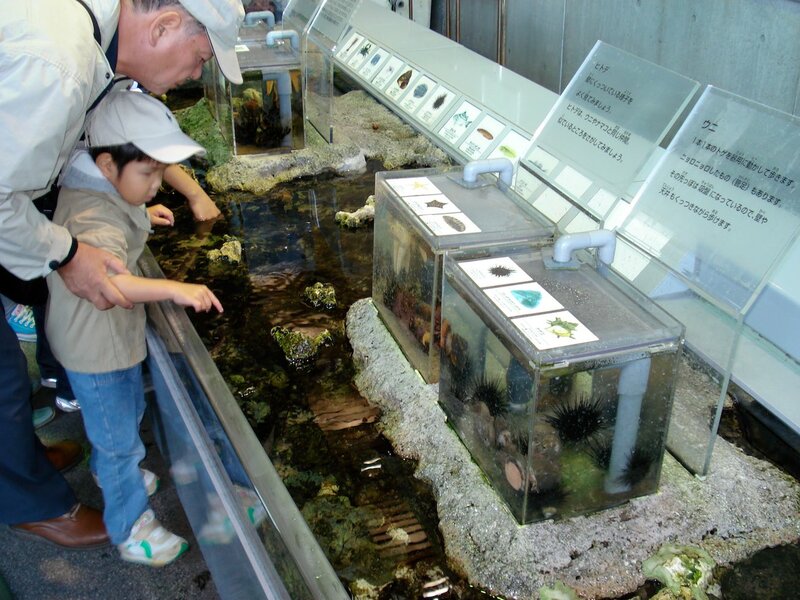 This is a lot more interesting than you might guess because Tokyo includes a group subtropical islands over 1,000 kilometers south of Tokyo Bay. If you also go to Yume-no-Shima Tropical Greenhouse Dome then you can virtually tour the Ogasawara Islands without leaving the city. 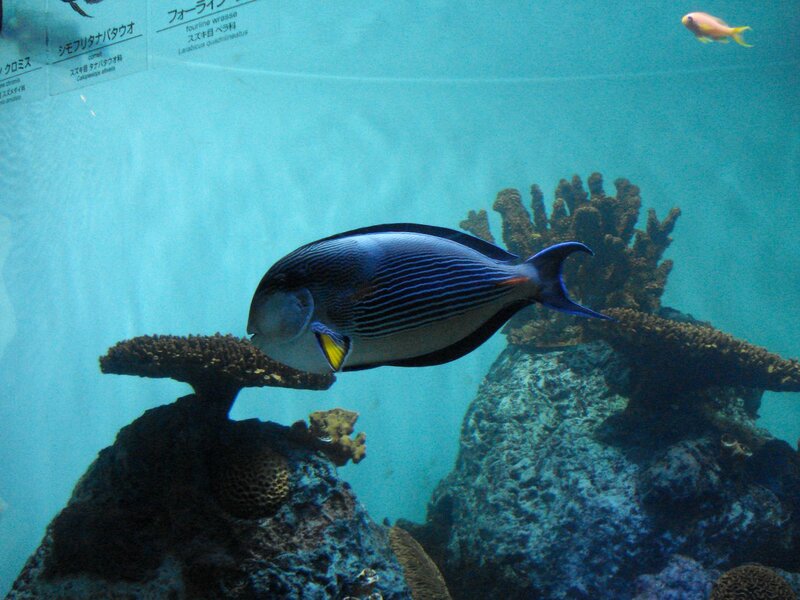 The first section starts off with a preview of the tuna tank that you'll reach later. First, a series of smaller tanks show the wonders of the Pacific, Indian, Atlantic, Caribbean. On busy days, the concave layout of the tanks means one must jam their way into the alcove. The area ends with a look at the oddities of the deep and extreme polar regions. Tuna is an odd choice to focus on, but it does give the aquarium a unique section. 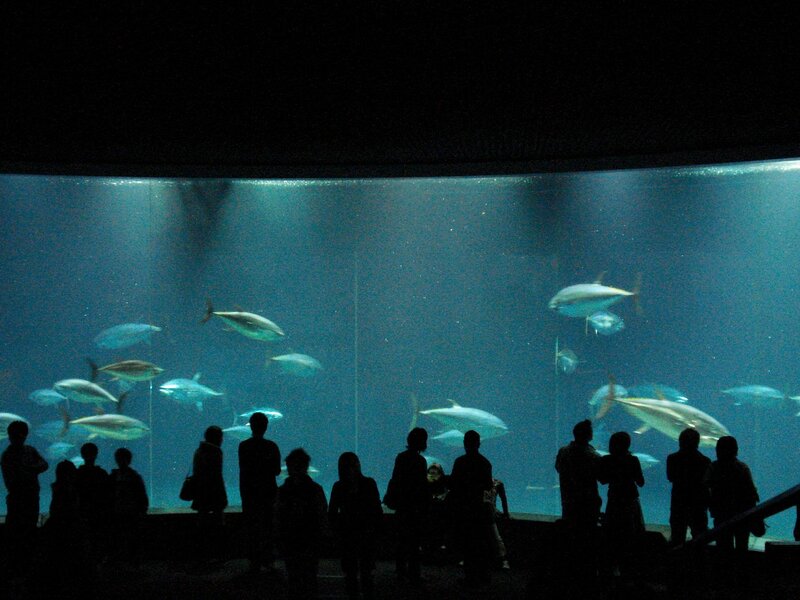 The 2,200 ton tuna tank wraps around the "aqua theater" to give a panoramic view of the tuna swimming freely. The sheer size and number of them is quite amazing. In early 2015, the tuna caught a virus that reduced their numbers from over 150 to just 3 in a couple weeks. The next section leads outside to a display of the coastal areas around the city and a touching pool. The penguin pool is one of the best displays. 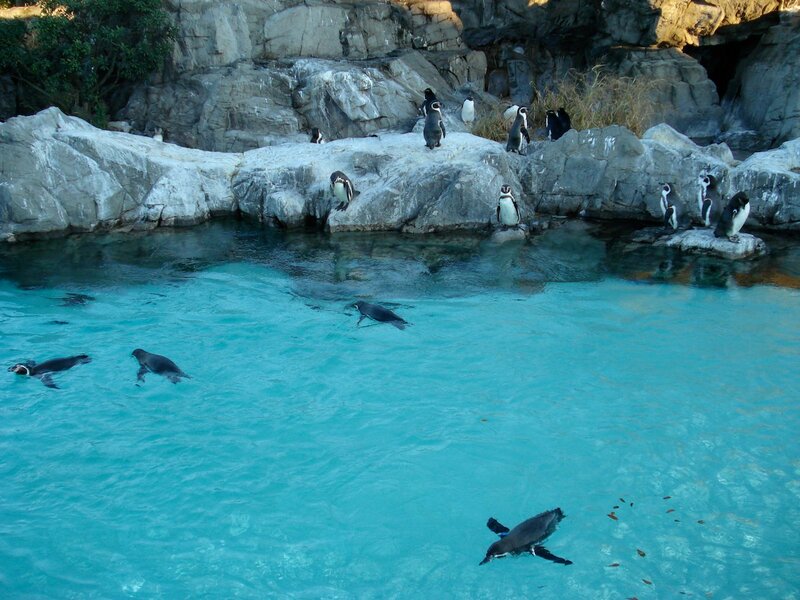 The penguins aren't too crowded and they have plenty of room to accelerate and jump in the water. This is one of the best places in Japans to look at penguins. 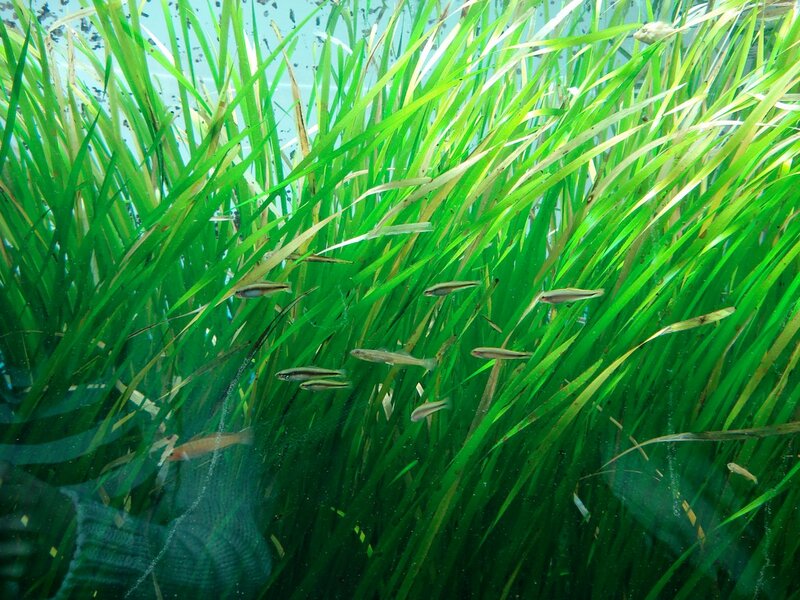 After brief stop in the kelp forests, Tokyo Sea Life Park presents the fish of Tokyo's far flung island chains. The diversity and colors are everything that you would expect from some coral reef in the tropics. To round out the section, there's some fish from Tokyo's bay. 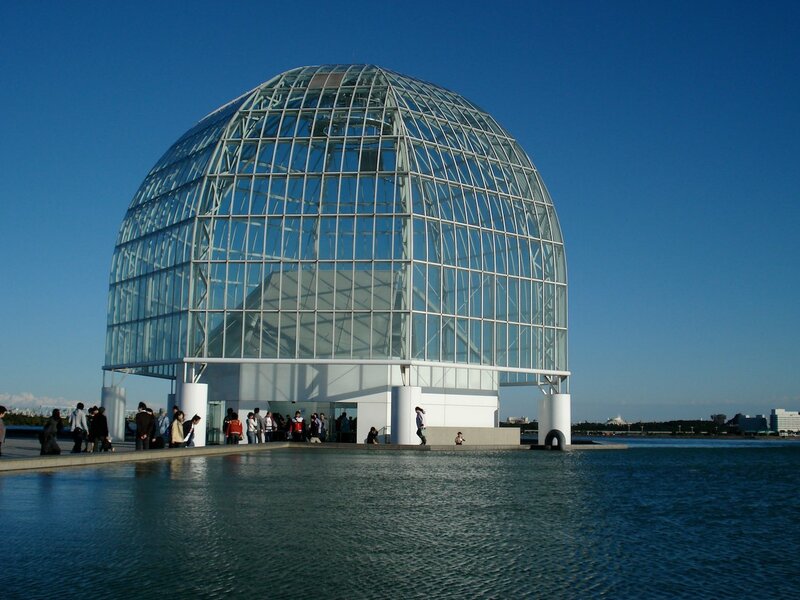 A live science show occurs in this section a few times a day. The tour ends with an unique display of sea birds which is something most aquariums don't have. Tufted puffins and guillemots can be seen diving into the water and swimming. Oddly, Tokyo Sea Life Park's bird displays are more interesting than many of the fish displays. 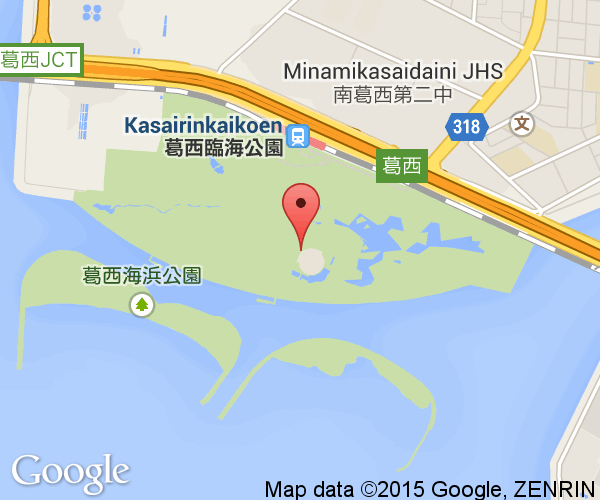 Kasai-Rinkai Park where Tokyo Sea Life Park is located is about a half an hour from JR Tokyo Station on the Keiyo Line (京葉線). This line has an underground platform which is a fair distance under and away from the main platforms at Tokyo Station. Follow the red signs to get to the platform. It will take about 15 minutes to reach the park. Get off at Kasai Rinkai Kouen Station. This line continues on to the Tokyo Disneyland Resort. Buses also shuttle people from Kasai Station and Nishi-Kasai Station to Kasai Rinkai Park on Tokyo Metro's Tousai Line.